Attention extreme sports lovers everywhere. It is time to get your ski on, because the Mammoth Mountain snow season has officially started! 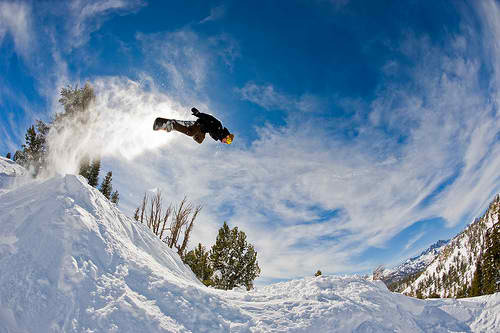 Pull your skis and boards out of the closet, grab your snow pants and goggles, and head for the Top of California! Most winter sports fanatics know by now that Mammoth Mountain is one of North America’s top ski resorts and that opening weekend is nothing short of a party; think Spring Break but in the snow rather than on the beach. If you couldn’t make it to opening weekend, a trip to Mammoth Mountain in ski season at any point is more than worth it, but we’ve summed up the weekends’ events for you so you know what you missed. The chairs began their first ascent up the Mammoth Mountain snow at 8:30 am on Thursday the 10th for the official kick-off, but the party continued into Sunday. Thursday’s events included the “TB20” movie premier, live music, a grand champagne toast, as well as a huge after-party hosted at Hyde Lounge. On Friday the party just kept on going, beginning with hitting the slopes for some Mammoth Mountain ski, of course! The morning was spent skiing or ‘boarding, and then everyone headed to Hyde Lounge to take a look at, “Unbound Volume 2;” the new addition to Mammoth Mountain’s magazine. The afternoon was filled with more live music and DC Pro Team members Lauri Heiskari, Aaron Biittner, and Devun Walsh were present and signing autographs that evening. Of course, the evening would not be complete without another party, and everyone gathered at Hyde Lounge again for the Unbound Volume 2 launch party where DJ Ecto Cooler kept the party going all night. Before the long-awaited concert on Saturday night that featured Black Lips and Ra Ra Riot, there was a day full of events. DJ SlipMatt performed on the Sundeck at the Main Lodge in the afternoon, and Burton Team riders were present and signing autographs. DJ SlipMatt signed autographs at The Village at Mammoth that evening and there were tons of giveaways. It was movie time that evening before the party with Burton Snowboard’s premier of “Standing Sideways.,” which was a big hit. The concert was followed by yet another after-party at Hyde Lounge. “Sunday Funday,” was a day dedicated to spending some quality Mammoth Mountain ski time. DJ SlipMatt was playing again all afternoon, but for the most part, the day was meant for extreme sports lovers to just do what they love. In case you’ve been living under a rock and are not aware of the greatness that is Mammoth Mountain ski season, let us fill you in. 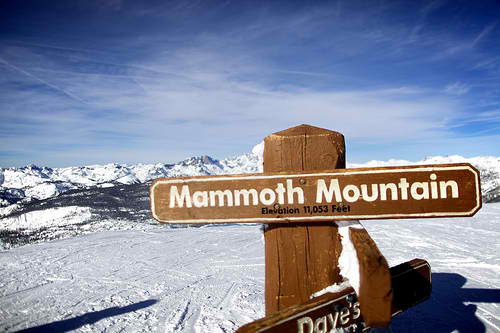 Mammoth Mountain is known as, “The Top of California,” and spans across 3,500 acres of skiing bliss. There are over 150 ski trails to ride, and 5 ski lifts that earned Mammoth Mountain ski its rank in the top 10 North American resorts. One chair, “The Facelift Express,” allows extreme sports fanatics to experience nearly 1,000 vertical feet. During the summer, the resort spent over $20 million performing upgrades to make it even more amazing. RFID technology is now used in the lift passes, and a new quad chairlift has been added. Guest facilities have also been upgraded to provide skiers with the most comfortable stay possible. This is definitely a place to add to your extreme sports itinerary this winter! This entry was posted in California, News, Skiing, Travel, United States, Winter Sports and tagged California, Mammoth Mountain, Skiing, United States. Bookmark the permalink.